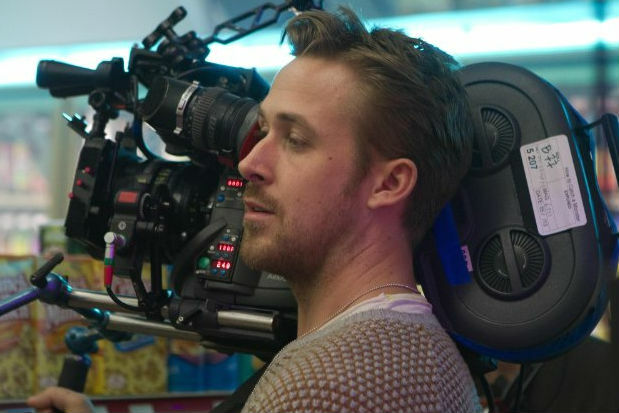 Ryan Gosling on the set of Lost River. -It’s been a rough week for the Ryans at Cannes. Following the terrible reviews and boos Ryan Reynolds‘ new movie got, now it’s Ryan Gosling‘s turn. His directorial debut is getting mauled by the critics. Also, Eva Mendes didn’t show up to support him. On the plus side though, he looked supes cute. -It’s not all bad news for Canadians at Cannes. David Cronenberg‘s Maps to the Stars, starring Robert Pattinson and Julianne Moore, is earning raves. -You know who else is killing it in Cannes? Channing Tatum, who has launched a full-on charm offensive. Whether he’s talking about his imaginary friend, the drunk bets he makes with Jonah Hill, his feelings on Funetti, or his life as a high-functioning alcoholic, this guy can do no wrong. –Justin Bieber‘s Cannes afterparty was so lame, even Paris Hilton ditched it. –Robert Pattinson is trying to never be photographed again. Cannes was probably not the best place to kick that off. –Beyonce, Jay Z and Solange all posed for a happy family photo, which is totally legit and not at all a desperate damage-control stunt. -Wait, if George Clooney‘s wedding date is Sept. 12, does that mean he won’t be coming to Toronto for TIFF? Now I’m doubly depressed. –Patton Oswalt‘s wife would be less creeped out if he went to strip clubs instead of playing Dungeons and Dragons. -This is crazy: Tom Cruise never actually jumped on Oprah‘s couch. Stood on it? Yes. But jumped? That’s just our universal delusion. My world is askew. –Sandra Bullock gave a sweet, surprise commencement speech at a high school, where she gave advice about one-armed hugs and boogers. –Kate Winslet is doing whatever the opposite of aging is. -I love Amy Schumer‘s sketch about every couple deciding what to watch. –Rebel Wilson has been posting some adorable photos from the set of Pitch Perfect 2. I’m aca-excited! –Macklemore has written a long blog post apologizing for the Jewish costume he wore last weekend. -This is nuts: The Shield actor Michael Jace has been charged with homicide for the shooting of his wife. -I’m really digging this stream of Challenger’s new album. -Here’s the opening number from Maya Rudolph’s variety show, which did well in the ratings. -Vanity Fair has posted its full cover story with Jon Hamm. This, plus Sunday’s amazing Mad Men episode, has reignited my Don Draper devotion. -This is the first time in 6 months we’ve seen Jake Gyllenhaal‘s pretty, pretty face. –Josh Lucas and wife Jessica Ciencin Henriquez have split. -This journalist got Zac Efron, Scarlett Johansson, Cameron Diaz, Emma Stone, Andrew Garfield, Hugh Jackman, Anne Hathaway and a bunch more to star in his wedding video. –Amy Poehler continues to be the most awesome person on the planet. She recently gave up her first-class seat to a harried mom. -This might be the first time in history I’ve ever felt bad for a Kardashian. Well done, internet! -A new trailer for Guardians of the Galaxy lets us know what Bradley Cooper would sound like if he were a raccoon. –Robert Redford‘s last movie All Is Lost made Louis CK really angry. -So far the casting news for the Jem and the Holograms movie has been pretty lame, but they just added Juliette Lewis to the cast, which is kind of perfect. -The men who plotted to kill Joss Stone have receive reduced jail sentences. -I’m so very into the trailer for Anna Kendrick’s new movie Happy Christmas.